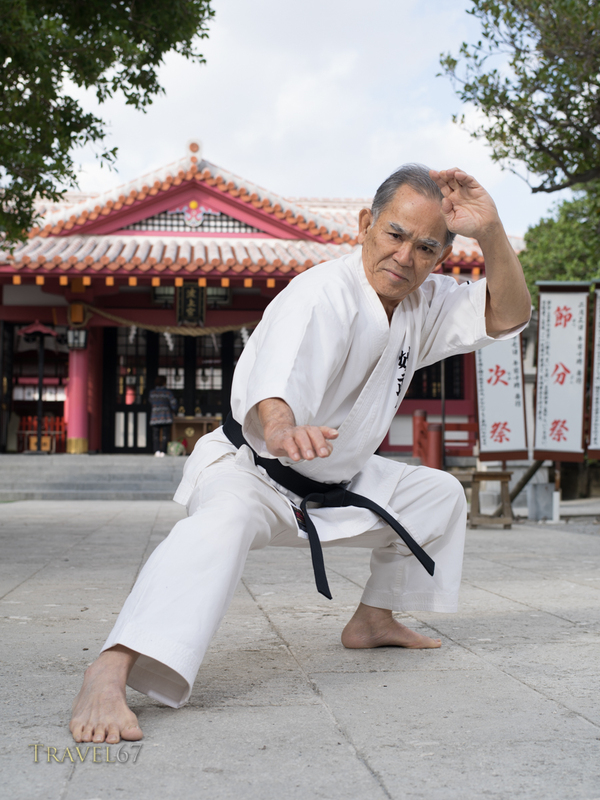 On Friday I photographed 9th-dan master Yoshimasa Matsuda and his son Hirokazu Matsuda at Naminoue Shrine, Naha City, Okinawa. On January 31st Matsuda will receive the rank of 10th-dan. Naminoue Shrine is the most famous shrine on Okinawa. 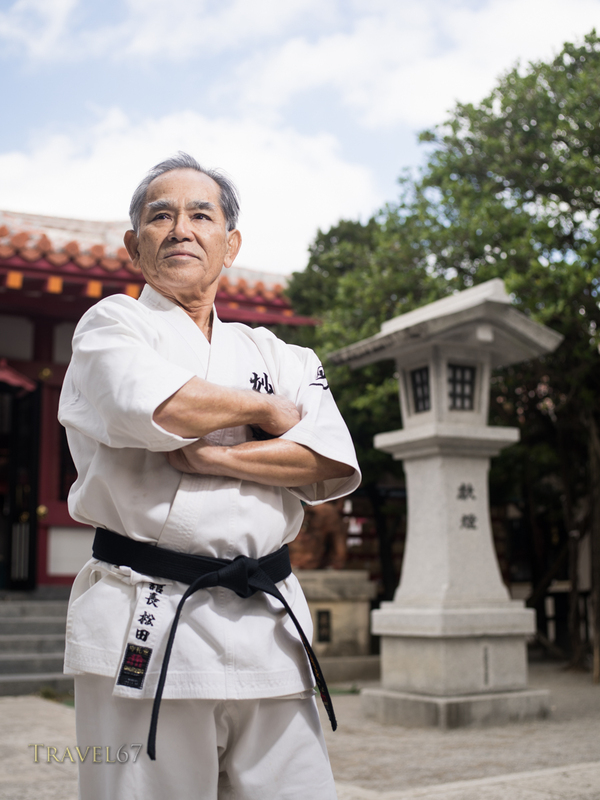 The fact that Matsuda is a local resident and supporter of the shrine meant we were given permission to use it as a background for the photographs. 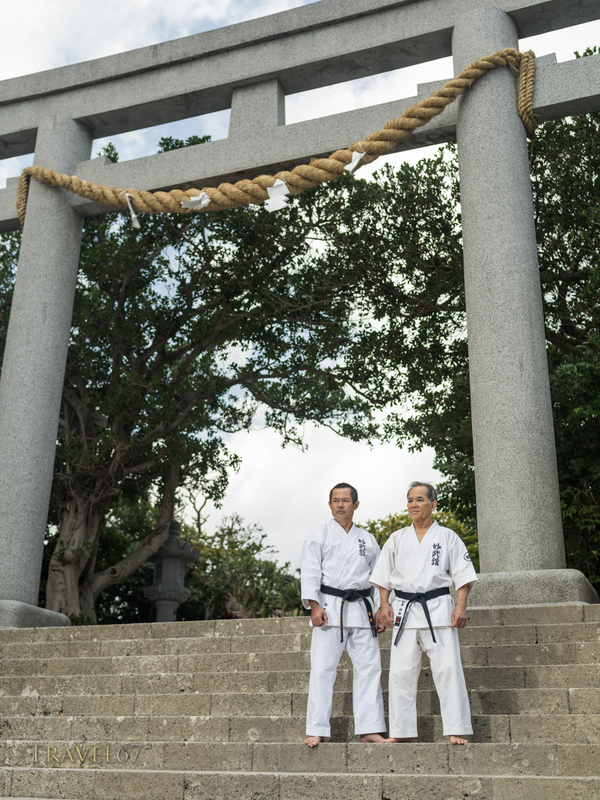 Hirokazu Matsuda, Shihan 7th-dan (elft) and father Yoshimasa Matsuda Hanshi 9th-dan Okinawa Shorin-ryu Myobukan at Naminoue Shrine, Naha City, Okinawa. Previous PostA baby monkey’s guide to hot spring bathing.